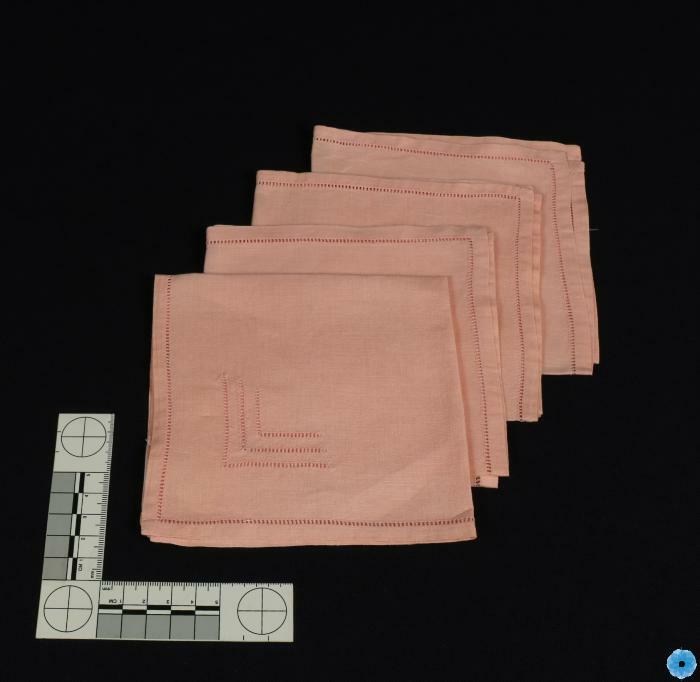 Description: Four peach coloured cotton napkins to match the tablecloth. Narrow hem with a row of pulled threads open work. In one corner is a V shape and three rows of pulled thread open work. History of Use: Used as part of a luncheon set on the table of Jean Clark Gow, Alexandra Avenue, Bridgewater.